The festival brings more than 300 authors to Decatur for the holiday weekend. The authors give readings, talks, and panel discussions. The event is free and open to the public. Authors include Pulitzer Prize winning and best-selling authors of fiction in many genres and nonfiction on diverse topics. The authors come to Decatur from across the country and international points as well. The AJC Decatur Book Festival is the largest community supported, independent book festival in the nation. 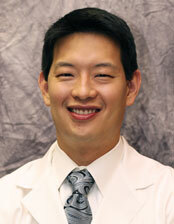 David D. Suh, M.D., F.A.C.C. of Atlanta Heart Specialists group. His clinical interests include Cardiovascular Disease Prevention, Congestive Heart Failure, Pacemaker Implantation, and Peripheral Arterial Diseases. 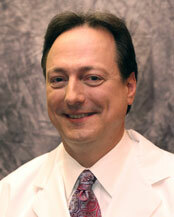 Dr. William Rose is board-certified in vascular and endovascular surgery. He attended medical school Michigan State University in 1990 and subsequently completed his residency and fellowship at Henry Ford Medical Center in Detroit, MI. Dr. Rose currently practices for the Vascular Medicine & Surgery Specialists of Atlanta specializing in vascular medicine, vascular surgery, endovascular laboratory services and more. Dr. Melissa Seely-Morgan graduated from the Medical College of Virginia at Virginia Commonwealth University. She completed an Internal Medicine Internship at Georgetown University Hospital in Washington, D.C. and a Radiology Residency at Emory University Hospital in Atlanta, Georgia. Dr. Seely-Morgan completed her Fellowship training in Vascular and Interventional Radiology at Emory University Hospital, in Atlanta. She is board-certified by the American Board of Radiology. She joined Radiology Associates of DeKalb, P.C. in 2008. 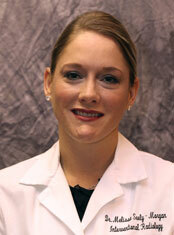 Dr. Seely-Morgan is the Chief of Radiology at DeKalb Medical and Hillandale. She has a passion for women’s healthcare issues and a special interest in UFE procedures. Robert J. Davis, the author of Coffee Is Good for You, is an award-winning health journalist whose work has appeared on CNN, PBS, WebMD and in The Wall Street Journal. Currently, he serves as president and editor-in-chief of Everwell, which creates and distributes health-related video content, and is an adjunct professor at Emory University’s Rollins School of Public Health. 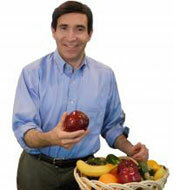 He’s also the author of a previous book, The Healthy Skeptic, published in 2008. A graduate of Princeton University, Davis holds a master’s degree in public health from Emory and a Ph.D. in health policy from Brandeis University, where he was a Pew Foundation Fellow. He lives in Decatur. Bookzilla Bookmonster, representing the Green Party, has formally announced his candidacy for President of the United States. He joins the 2012 election race with an edge against President Barack Obama, Republican candidate Mitt Romney, and Pink Party candidate Barbie — he’s the people’s lizard, and all he wants you to do is READ. America faces extraordinary challenges. We need a monster of a candidate with exceptional ability and unique skills to lead us. Bookzilla comes from humble beginnings where he learned the value of hard work and perseverance. Early in his career he took a small literary festival and turned it into the largest independent book festival in the USA. 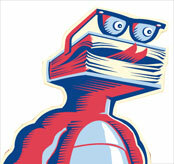 Bookzilla wants to take Congress back to school, and make the Senate learn their ABC’s. He believes that the future of our nation lies in the hands of voracious readers.